Fiddler’s Ferry Power station sits near the canal. 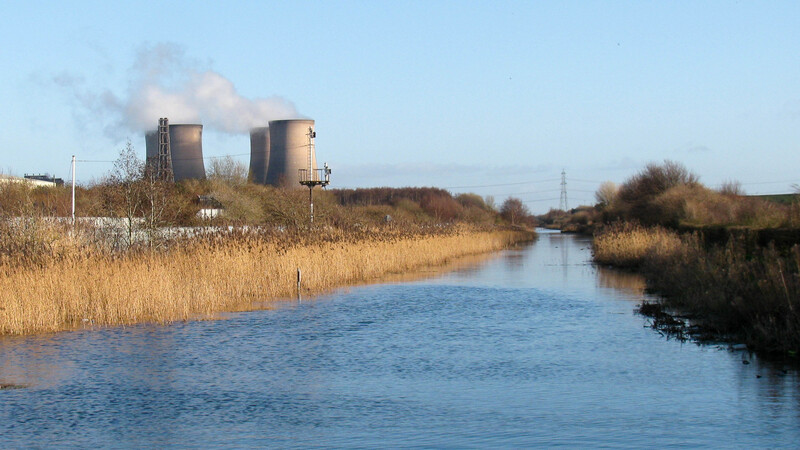 A freight only railway line runs parallel to the canal and is used to bring coal to the power station. A redundant signal post is still visible.